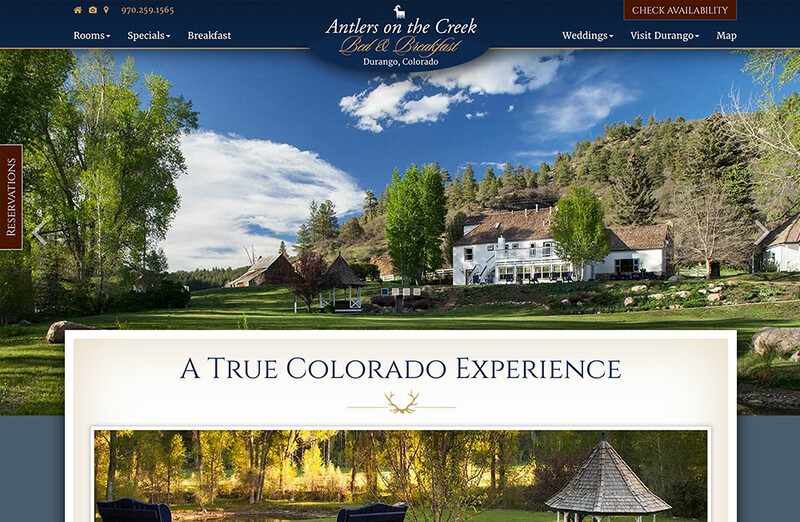 Susan Barrett, owner of Antlers On The Creek met us at our first HMS Conference back in November 2014. 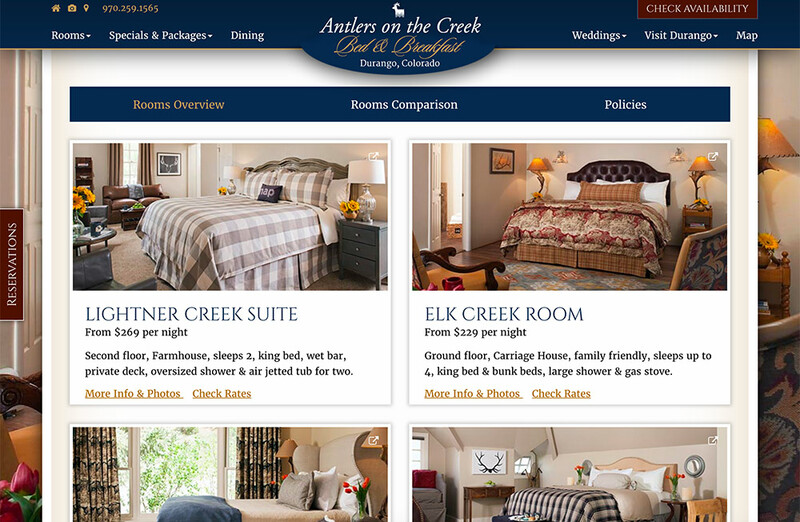 She was in the process of a renovation and rebranding project after recently purchasing Antlers on the Creek. 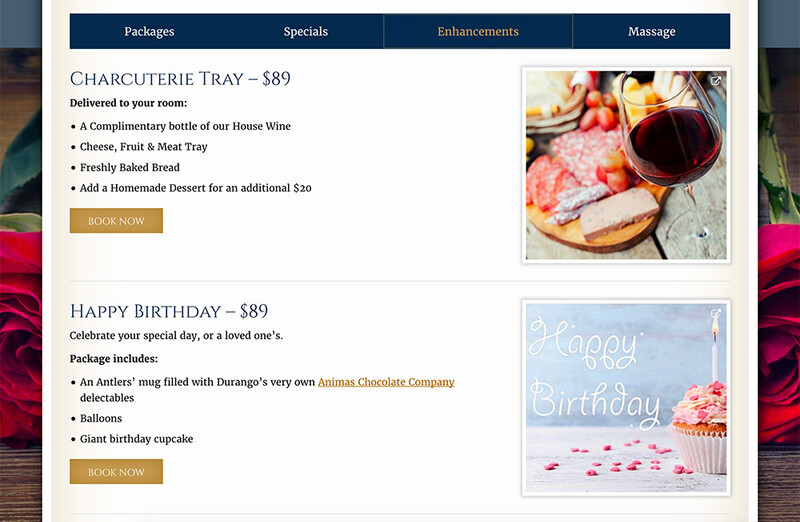 And…she wanted to hire the best should could her efforts would catapult her to the #1 Bed and Breakfast choice in the Durango, Colorado area. 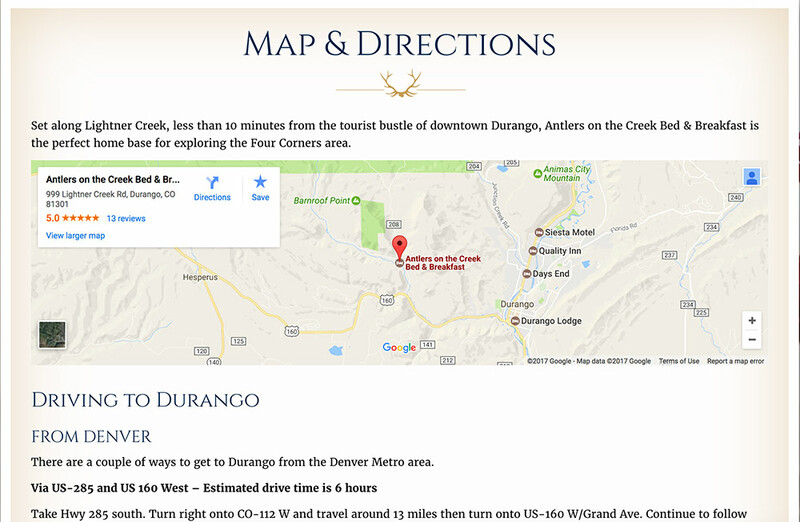 Of course, in order to accomplish this, she needed an aggressive marketing program along with a stunning website which would immediately capture the hearts and minds of those guests considering a vacation to Durango. After hearing our presentations and meeting our entire team at the HMS Conference, Susan decided to jump on board with White Stone Marketing and get serious about substantially increasing revenue. 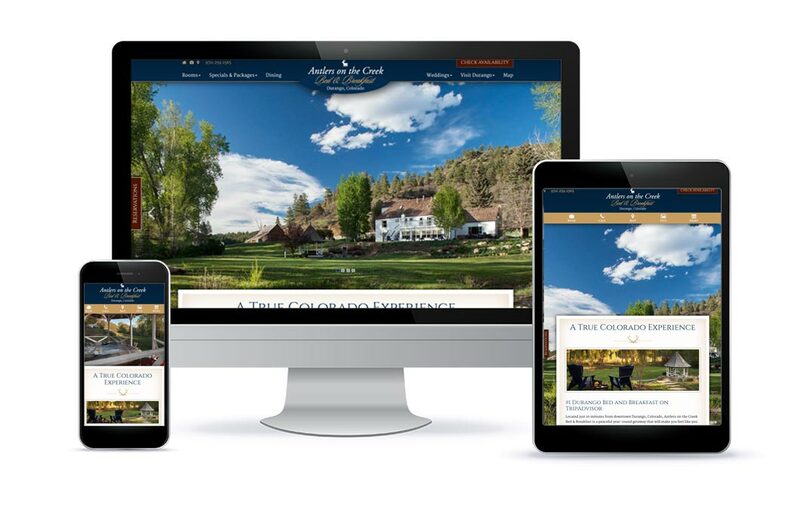 Susan has proven to be an exceptional innkeeper and with our help is now #1 Bed and Breakfast in TripAdvisor for Durango, CO. With her reputation solidly in place, we were able to initiate a corresponding marketing program to continue the upward trajectory she has been experiencing in occupancy and revenue. 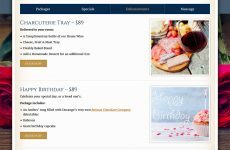 Since her website launched on January 29th, 2016, we have seen a 254% increase in traffic from then same time period last year alone! 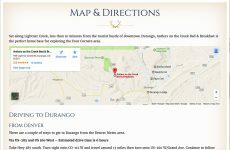 The results have been staggering and the glowing reviews continue to pour in for this Durango Bed and Breakfast website. Thank you for putting your trust in us, Susan! We are delighted to be partnering with you.